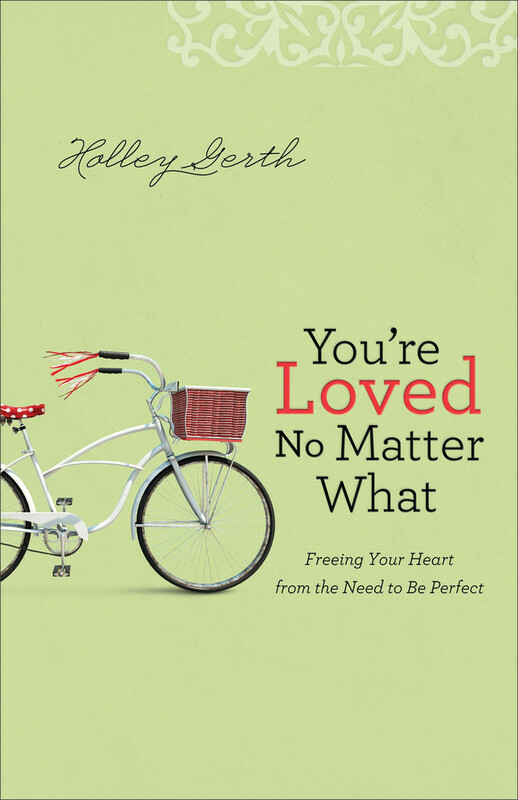 Sharing this post again today as I pick up a copy of Holley Gerth’s new book! Today Holley asked the question, “Where do you think pressure to be perfect comes from and what can we do about it”? This word is overwhelming my heart, mind and soul today. I’m expecting certain things that just are not happening and it has me wondering, pondering, contemplating, asking questions and crying out to God for help. Am I expecting too much? Are my expectations unreasonable? Why do I expect so much of myself? Do I expect too much of others? What can I do to align my expectations with God’s plan and purpose for my life? I’ve realized over the years that many of the expectations I have placed on myself and others have come from disappointments. Disappointments have created a desire in me to “make things better”. And sometimes that “better” is nothing more than an unrealistic expectation of perfection that I place on myself. Oh, what a heavy weight to live under! It’s a fierce circle of chasing a cat’s tail and never catching the prize! A circle of devastation that leaves me empty and crying out! I expect. I chase. I fall short. I become disappointed. I want to stop the cycle! Stop the chase of having great expectations that end in disillusionment, regret and disappointment. Pause with me for prayer. Lord, You are good and your mercy endures forever. Let my heart desire You and You alone. For your promises are real, true and loving. You will always do more than I could ever imagine. May I eagerly await your answers with great expectations, trusting that you will never leave or forsake me. Forgive me when I am failing to see your glory, your goodness, your plan and your amazing love for all that it is~ Amen. What are you expecting of yourself today? Are you expecting to be the perfect wife, mother, co-worker, friend, ministry leader, party planner, homemaker, student, scholar, artist…? Put away the word perfect. 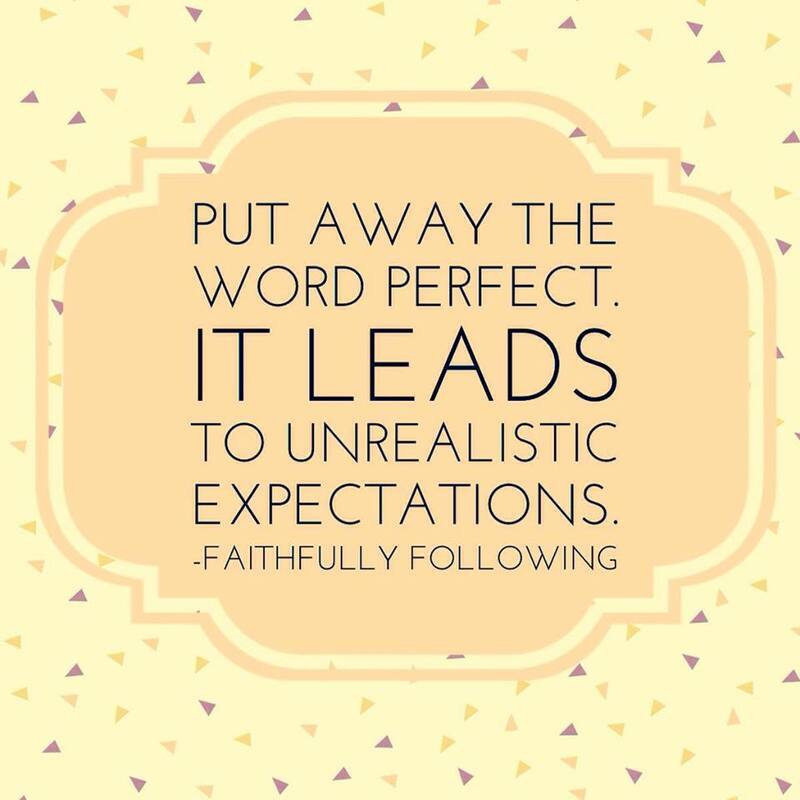 It leads to unrealistic expectations. It leads to disappointment. Are you trying expecting to do everything in your own strength? Let God’s power perfect your weaknesses. Call upon His name and trust that He is the strength that you need when your own is sure to fail. Sweet sister if you are like me and you feel that perhaps your own expectations are setting you up for disappointment and leading you on a chase that never ends, join with me in prayer today to stop the cycle! Put an end to the depending on ourselves. Put an end to chasing perfect. Perfect has come. He is near. He is loving, kind and good and always available. He is Jesus! And He expects nothing more than for you to rest in His love! We are having coffee for you heart with my friends Holly Gerth! Now this was just toooo fun! I linked up with Meredith and went to comment on the post prior…it was you my friend! I love the idea that I don’t need to chase after perfect because HE has already come! Love it! Cindy- I love our new blog family! You guys inspire me and encourage me to just live for the Lord! I look most days to see what my favorite do ahead lady is up to because I know I will be inspired! Love these thoughts, Jodi. I’ve been contemplating this very same thing recently. How many unmet expectations I put on myself and the cycle of not meeting them, despair and guilt that comes along with it. You are so right…we are not expected to be perfect or do anything worth doing in our own strength. When we we (I) ever learn…thank God for grace and sisters that keep leading me back to the Cross. Blessings friend! Back to the cross! Yes, Meredith! Let me linger, rest and find my strength at the cross! Yes and amen! We just need to put everything in God’s hands and trust. And when fear and doubt come creeping back, put it in His hands again. That is the cycle we need! Stopping by from Coffee for Your Heart- great post. I can totally relate! So good to have you Katie!